For me, The Romans: From Village to Empire by Mary T. Boatwright, Daniel J. Gargola and Richard J.A. Talbert. 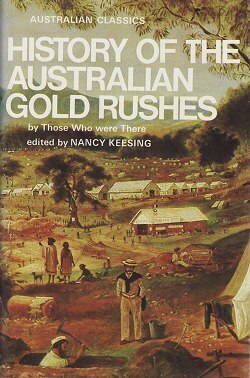 For Monissaw, History of the Australian Gold Rushes: By Those who were There, edited by Nancy Keesing. I went along the bookshelves and listed twenty of my unread non-fiction books, largely as I came to them. I skipped a who's who of the Ancient World because I couldn't imagine it was intended to be read cover to cover in the first place.